Dental Implant treatment is currently the only whole-tooth restoration. 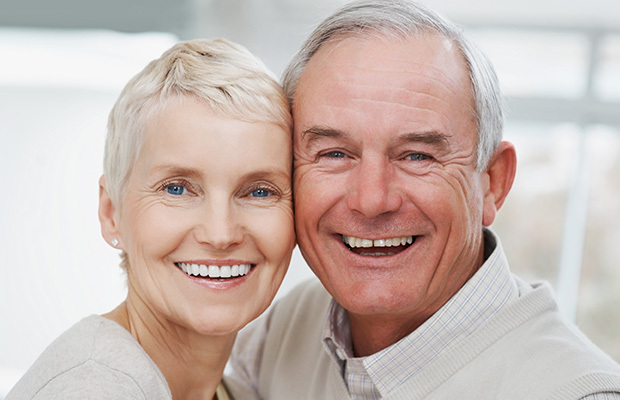 Unlike dentures, dental implant treatment replaces both the tooth root and the crown. By restoring the root of the tooth this treatment helps to maintain healthy jaw bone density. When the implant crown or bridge is attached you have a whole-tooth replacement that will help your bite, eating and even speech. When you lose a tooth, the jawbone that ‘holds’ the tooth root in place slowly starts to dissolve. If you leave it too late, eventually you may need a bone graft for dental implant treatment to be successful. One of the reasons you want to avoid reduced jaw bone density is because it can cause further problems done the track. Some of the problems this can cause include: poor bite and jaw-related issues such as temporomandibular joint dysfunction. If you are a suitable candidate for dental implants, we will proceed to the next step which is the placement of the dental implant. Dental implants are made of a biocompatible metal so there is very little chance that your body would reject the foreign material. Generally, it takes anywhere from three to six months for your jawbone to heal around the dental implant. How long it takes depends on how healthy you are; if the implant was placed in the upper or lower jaw and also your body’s natural ability to heal. The third appointment is when the implant crown or bridge is placed on the implant. The finished product will be an artificial tooth that will restore form and function to your smile. As an added bonus, the implant crown or bridge will match the natural shade and tooth colour or your teeth so no one will be able to tell the difference.